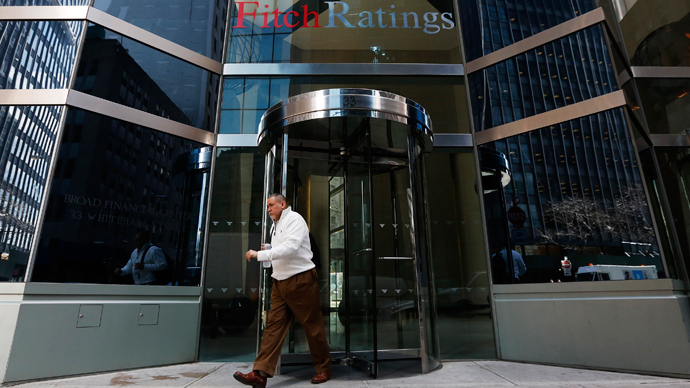 Global credit rating agency Fitch has put the United States’ ‘AAA’ credit rating on “rating watch negative” based on stalled debt ceiling negotiations. "Although Fitch continues to believe that the debt ceiling will be raised soon, the political brinkmanship and reduced financing flexibility could increase the risk of a US default," Fitch wrote in a release Tuesday afternoon. The agency said the US Treasury, though it could still make some obliged payments after October 17, may be exposed to “volatile revenue and expenditure flows” based on the impasse in Washington. “The US risks being forced to incur widespread delays of payments to suppliers and employees, as well as social security payments to citizens - all of which would damage the perception of US sovereign creditworthiness and the economy,” Fitch wrote. "The announcement reflects the urgency with which Congress should act to remove the threat of default hanging over the economy," a US Treasury spokesperson said. In August 2011, credit rating agency Standard & Poor’s downgraded the US credit rating from ‘AAA’ (outstanding) to ‘AA+’ (excellent) amid a similar stalemate in Washington on raising the debt ceiling. Fitch added that the regularity of the US debt-ceiling fights contributed to Tuesday’s move. “The repeated brinkmanship over raising the debt ceiling also dents confidence in the effectiveness of the US government and political institutions, and in the coherence and credibility of economic policy. It will also have some detrimental effect on the US economy,” Fitch wrote. House Republicans nixed a vote scheduled for Tuesday evening on a plan that would have sought to reopen government agencies and raise the debt ceiling before the US defaults on October 17. Sources told Politico that the GOP did not have a sufficient number of votes to pass the legislation. The cancelled vote follows a House GOP proposal earlier Tuesday that was rejected by the White House. 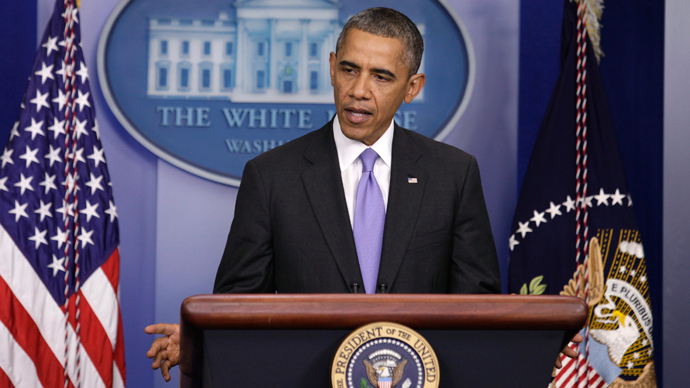 President Barack Obama said in a Tuesday interview that he expects a deal on the debt to happen, despite the tight deadline. "Let's not do a lot of posturing, let's not try to save face, let's not worry about politics,” he told WABC in a note to fellow lawmakers.